science20.com – The ichthyosaur (literally ‘fish-lizard’) lived in what is today southern Germany during the Jurassic Period some 180 million years ago. Source: Johan Lindgren, et al. 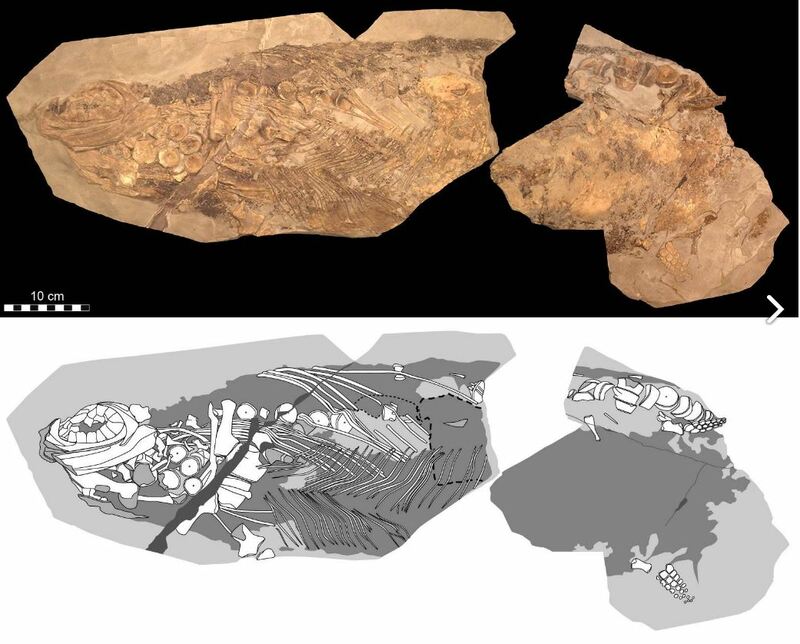 Soft-tissue evidence for homeothermy and crypsis in a Jurassic ichthyosaur. Nature, 2018. Source: Susan Koch Fager, Melanie Fried-Oken, Tom Jakobs, David R. Beukelman. New and emerging access technologies for adults with complex communication needs and severe motor impairments: State of the science. Augmentative and Alternative Communication, 2019.
livescience.com – Greenland's ice sheet has undergone a stunning reversal in the last 46 years, as a meticulous new study documents. Source: Jérémie Mouginot, et al. Forty-six years of Greenland Ice Sheet mass balance from 1972 to 2018. Proceedings of the National Academy of Sciences, 2019.
sciencedaily.com – A state-of-the-art brain-machine interface created by neuroscientists can generate natural-sounding synthetic speech by using brain activity to control a virtual vocal tract -- an anatomically detailed computer simulation including the lips, jaw, tongue, and larynx. The study was conducted in research participants with intact speech, but the technology could one day restore the voices of people who have lost the ability to speak due to paralysis or neurological damage. Source: Gopala K. Anumanchipalli, Josh Chartier, Edward F. Chang. Speech synthesis from neural decoding of spoken sentences. Nature, 2019. Source: Christopher P. McLaren, Thomas M. Kovar, Alexander Penn, Christoph R. Müller, Christopher M. Boyce. Gravitational instabilities in binary granular materials. Proceedings of the National Academy of Sciences, 2019.